Lightweight, weather-proof and American-made! Cost-efficient, too. 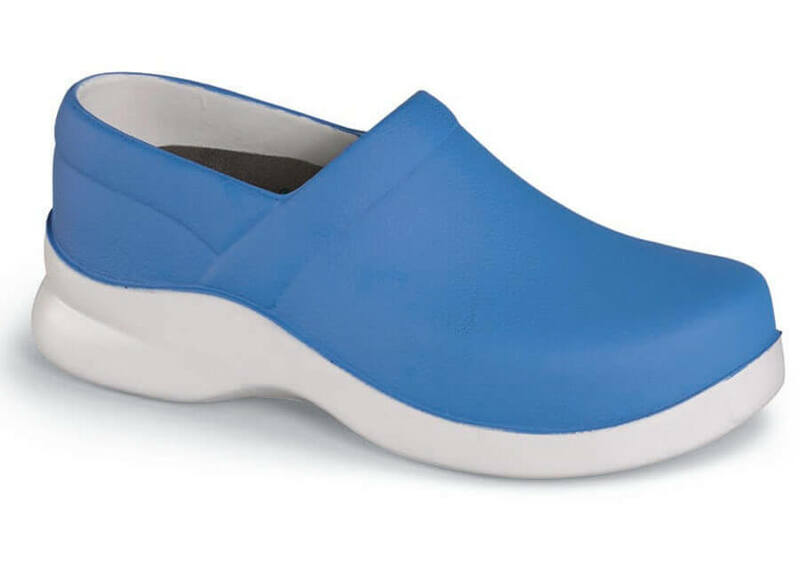 The royal blue Klogs "Boca" clog is molded of weather-proof polyurethane right here in the U.S.A. 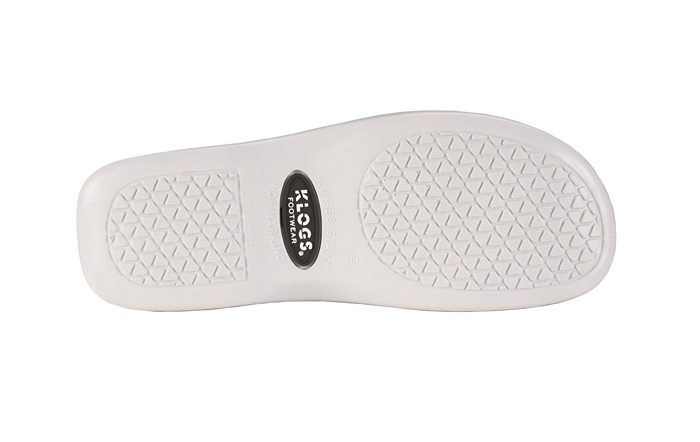 The thick, non-marking PU sole is flexible yet supportive. The removable anti-microbial cushion has a sueded sock lining for extra comfort. Limited whole sizes 6 to 14 in an extra-wide width.